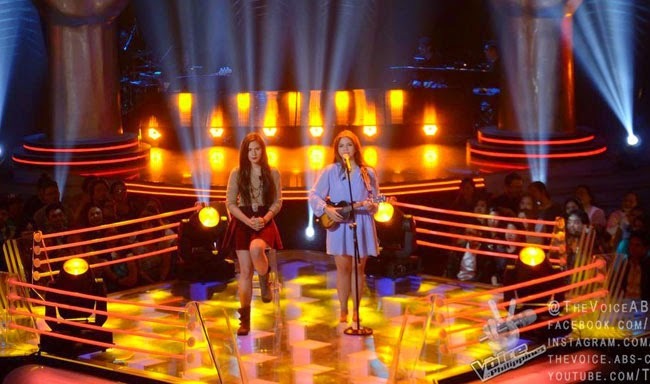 Team Bamboo's Patricia Gomez and Kai Honasan will face each other in the final Battle Rounds on The Voice of the Philippines Season 2 on December 20, 2014. Though a woman who loves sports, Patricia Gomez admitted that she still has stage frights. She also has the passion for singing and she aims to past through her shyness. For her, she feels more confident is sport because she can control the situation, yet in singing, she feels vulnerable and nervous. Performing ‘Hit the Road Jack’ during her Blind auditions, she was able to convince Bamboo of her potential to be an artist. The four chair turner, Kai Honasan is struggling to make her own legacy away from the shadow of her father’s fame as a politician. During her blinds audition singing ‘Teenage Dream’, her father had been at the backstage cheering and supporting her. Bookmark and reload this page to find out who among Patricia Gomez and Kai Honasan will step up to the Knock Out Rounds.